Posted by OromianEconomist in #OromoProtests, Africa, Ethiopia's Colonizing Structure and the Development Problems of People of Oromia, Afar, Ogaden, Sidama, Southern Ethiopia and the Omo Valley, Land Grabs in Africa, Land Grabs in Oromia. 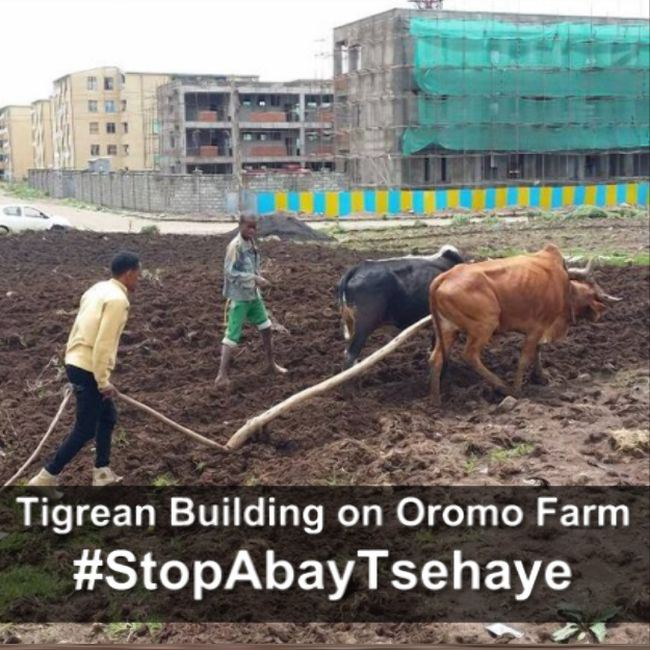 According to a media report, just last month alone, 600 Oromo farming families were evicted from Sululta, one of the towns in Oromia affected by the Addis Ababa Master Plan of the Ethiopian Federal government. The Master Plan evictions in Sululta came in November 2015, just before the latest escalations of Oromo protests as Oromo students in particular, and the Oromo public in general, engage the Federal government to stop the Addis Ababa Master Plan as well as the overall land-grabbing campaigns being undertaken by the Federal government in the name of “development” across Oromia. 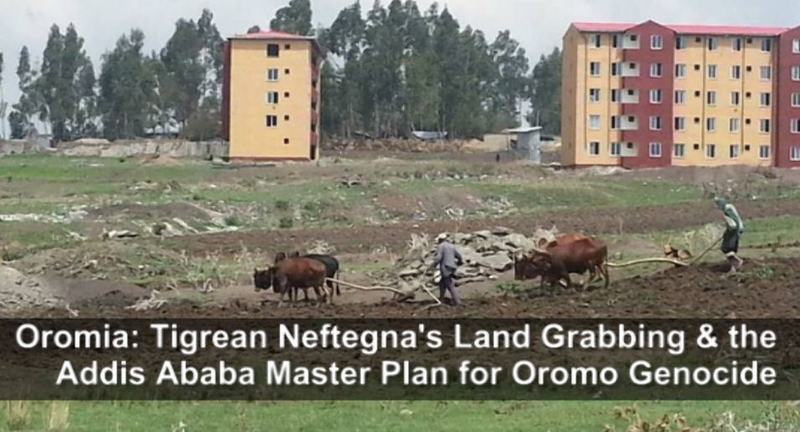 The report about the Master Plan evictions of 600 Oromo households in Sululta contradicts the Ethiopian Federal government’s stated position that the Addis Ababa Master Plan is still in its drafting phase awaiting public deliberations. Last year, during the April-May 2014’s #OromoProtests, the government promised to open the Master Plan for public deliberations only to forego that phase of the policy-making altogether. Protesters say the government’s promise of public deliberations are only tricks to buy time to fully implement the Master Plan and other land-grabbing campaigns across Oromia. One Oromo farmer from Sululta, a town part of the ‘integrated master plan’ located 26 kilometers (16 miles) to the north of Addis Ababa, spoke to DW on condition of anonymity. He claimed that in late November alone, the government evicted 600 farming families on the grounds that their land was needed for the construction of a factory. When asked if they had received fair compensation and a new home, the farmer told DW that the money given to them was ‘very meager,’ and that the families had so far not been given a place to relocate to. In the last two weeks, protests have spread to more than 50 towns as part of a larger and years-long movement against the Ethiopian government’s controversial development plan. 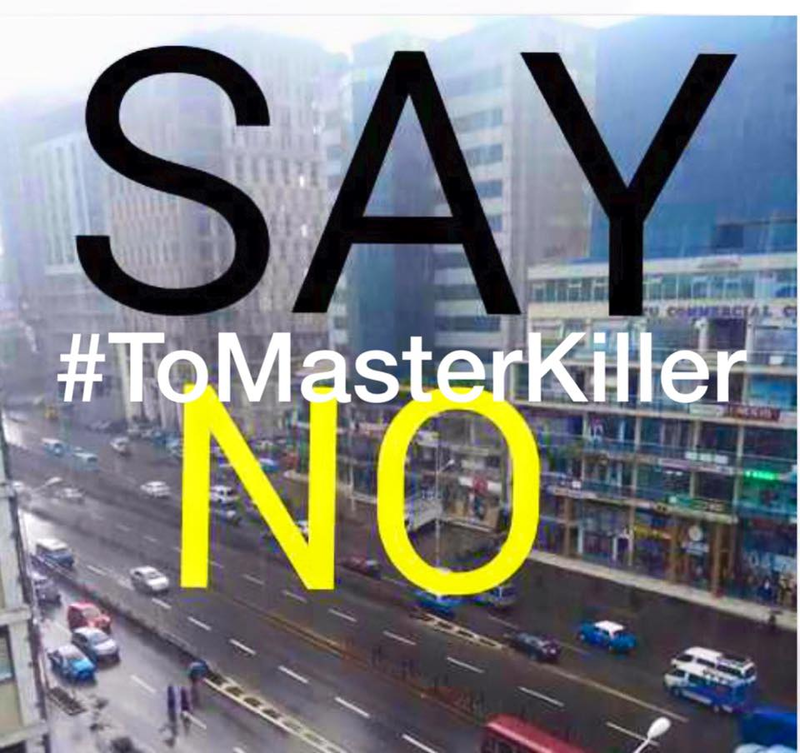 It’s not the first protest against the so-called Master Plan; there was a similar uprising in April and May of 2014 after the development plan was approved. A crackdown by security forces left dozens dead and hundreds arrested. By all accounts, according to Jawar Mohammed, the founder of Oromo Media Network, the recent movement is much bigger than its predecessor. The Minnesota-based Ethiopian said reports indicate farmers and other citizens have even begun to join in on the demonstrations over the last few days. “This is the biggest protest by far that I have seen in the last 25 years,” Mohammed said. The estrangement has a strong economic component. The expansion of Addis Ababa, the headquarters of both the African Union and the international airline carrier Ethiopia Airways, is a symptom of both the wider urbanization in sub-Saharan African cities and the booming success of national economy. Addis Ababa has seen growing foreign and economic investment in recent years, while at the same time becoming a regional business hub, Bill Moseley, a geography professor at Macalester College, in St. Paul, Minnesota, said. Generally, said Moseley, when governments pave the way for urban growth they often use this development as a way to justify land grabs. According to Moseley, this situation is not exclusive to Addis Ababa and Ethiopia, but one seen in other cities across sub-Saharan Africa and around the world. 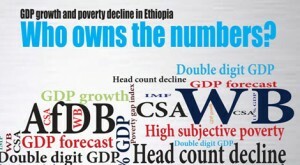 For the Oromo, specifically, activists claim they have not benefited from the country’s growth and prosperity. The regional ethnic group, which counts Oromia as its homeland, makes up more than 80 percent of the state’s 27 million people. Nationally it represents upward of 35 percent. Literacy rates are bleak and the group is underrepresented in government. According to Mohammed, nearly a dozen Oromo clans have been swallowed up in the city’s horizontal expansion as they are forced off their lands. 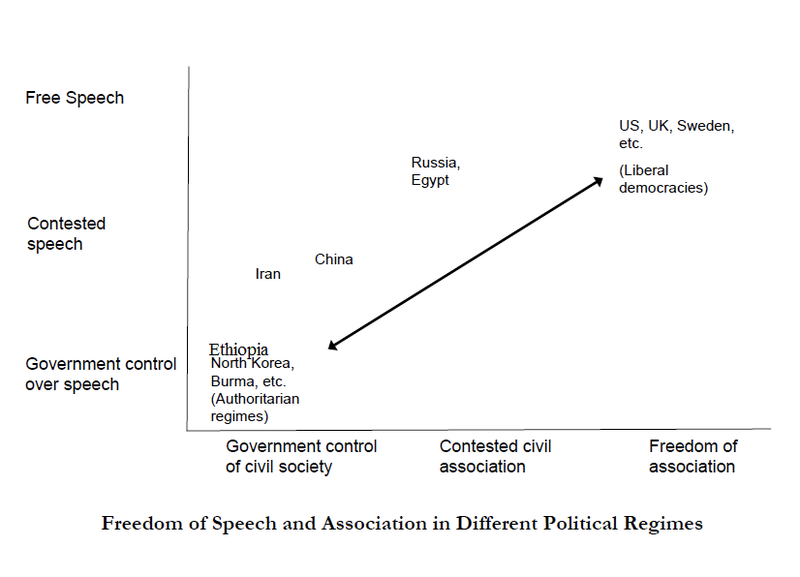 In Ethiopia, the government owns all of the land, but the constitution does provide some protections for the public. Oromo activists say these rights have been ignored in the rush to expand. The planned development has also hit home for the Oromo, who have a very close connection with their land, according to Human Rights Watch Horn of Africa researcher Felix Horne. The government has a history of cracking down on the Oromo people, who represent a majority of the population and a perceived threat to power to the minority-led coalition. Horne said that anytime Oromos expresses dissent or simply asks a question about land development policies, they can be subject to arbitrary detention and mistreatment. Beyond discrimination and crackdown on the Oromo, freedom of press and other expression is heavily curtailed in the country as a whole. Horne said coverage of the recent protests has been almost non-existent. Tags: #OromoProtests, Africa, AlJazeera, Genocidal Master Plan, land and water grabs in Oromia, Land Grabs, Tensions rise as students in Oromia accuse government of land grab, Why do the Oromo Resist the Finfinnee (Addis Ababa) Master Plan? The protests broke out in November Ginci, a town about 50 miles west of Addis Ababa. Students from universities, high schools and even some primary schools continue to stage sit-ins and demonstrations around the country. The Oromo students’ protests are not new. They been demonstrating against the central state for most of the last two decades. In April and May 2014, Ethiopian security forces fired live ammunition at unarmed protesters, killing dozens of students and wounding many others. Hundreds of students were arrested and charged under Ethiopia’ssweeping anti-terrorism law, and many remain incarcerated. Wallagga, Anaa Jimmaa Arjootti Bulchiinsi Aanaa fi Bulchiinsi Magaalattii Uummatis Bulchiinsota Kana Wajjin Waliitti Bu’uun Wallolaa Jiru. In Jimmaa Arjoo, W. Oromia, people are resisting the land grabs of Tabba (Qarree) Arjoo. Qeerroon Jimmaa Arjoo akka hubachiisetti waliitti bu’iinsi kun kan uumamuu danda’eef sababa BOSONA TABBA ARJOOTI jedha. Bosona Tabba Arjoo bosona uumamaatti dabaluun kan dhaabe uummata naannoo tabba kanaa jiraatu yeroo ta’u, bulchiinsi magaalaa Arjoo immoo kaartaa pilaanii Magaalaan itti qaba jechuun,bosonicha gurgurate Wayita uummanni Bosonni Oromiyaa guutuu mancaasaa jirutti callisnee hin ilaallu jechuun bosona Arjoo ciramaa jirutti ba’an bulchiinsi Jimmaa Arjoo kana girguruun nu ilaala jechuun bulchiinsa magaalattifi uummaticha wajjin wal dhabuutu himame. Uummatichis humna loltuu kana jalaa utuu hin dheeffin,mee muki tokko bosona kana keessaa haa cittu jedhee eeggachaa akka jiru qeerroon gabaaseera. Aanaa Abbaay Coomanitti abbootii Warraa 3000 buqqisuuf qophaa’an. In Abbaay Cooman, Horroo Guduruu Wallaggaa, Oromia, 3000 indigenous Oromo families to be evicted from their native land. (OMN:Oduu Sadaasa 30, 2015): Godina Horro Guduruu Wallaggaa aanaa Abbay Coomanitti abbootiin warraa, kuma sadii gahan akka qe’ee isaanii gad dhiisuun bakka biraa qubatan ajajni darbe. Jiraatonni aanichaa gama isaaniin bakka deemnu hin qabnu jechuun mormaa akka jiran OMN tti himan. Godina Horro Guduruu Wallagaatti jiraataan aanaa Abbay Coomman Magaalaa Kuyyisaa tokko akka OMN tti himanitti warshaan shukkaara Finci’aa waan babbalataa jiruuf jiraatooni Aaanichaa kuma sadii gahan akka bakka biraa qubataniif yemmuu mariisisuuf yaalametti ummanni waltajjii dhiisee bahuu himan. Gaaffiin jiraatoota kanaa bakka itti qubbattu jedhame sana bu’uuraaleen misoomaa waan hin jirreef akkamiin jiraanna kan jedhuu dha. Umamnni Magaala Kuyyisaa fi naannawa ishee jiraatan walgayii sana irratti yaada kennaniin hanga Mootummaan bakka itti quubatan kennuufitti akka qe’ee isaanii irra hin buqqaanne beeksisuun walgayii sana dhiisanii akka bahan jiraataan kun OMN tti himaniiru. 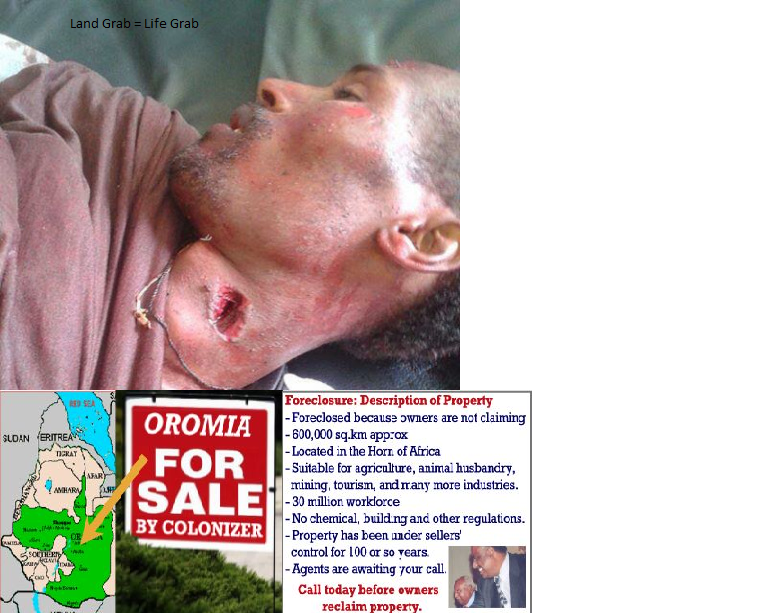 Meles Zenawi is in #Landgrabs Even from Grave: TPLF Fascist Ethiopian Government Has Taken 1200 Hectares of Land from Sabbataa Oromo ( Indigenous) Farmers in Oromia in the Name of Meles Zenawi Who Died 20 August 2012 in Brussels, Belgium. Maqaa, Mallas Zeenaawiitiin, namicha Wayyaanee du’eetiin lafti saba Oromoo hektaara 1200 ol ta’u Sabbataa irraa saamamee Wayyaaneen dhuunfatamu isaa odeeffannoon armaa gadii saaxilee jira. Caasaa Diinaa Qabeenya Oromoo Saamuu fi Saamsisuuf Diriirfame! (SBO) — Maadheen garee saamtotaa diinni icitiidhaan Sululta keessatti ijaaree qotee bultoota Oromoo lafa irraa buqqisee dachee isaanii gurgurachuuf akeekkate haala-mijeessitoota namoota akka habashicha waggoota 7 oliif kantiibaa magaalaa Sulultaa ture Siyyum Hayluu jedhamuu fi abbaa Riizoortii Hundee kan tahe Abarraa Hundee kan jedhamuun akka gaggeeffamu bira gahame. Dacheen Oromiyaa, qabeenyi Oromoon uumamaan badhaafamee fi qotee-bocee horate bara sirni gabrummaa Oromoo irratti diriirfame irraa kaasee saamamaa fi mancaafamaa jiraachuun dhugaa seenaan ragaa bahuu dha. Oromoo bittaa kolonii jalatti ittisuudhaaf jecha tahe jedhanii qabeenya isaa mancaasuu fi saamuun harka qullaatti hambisuu fi hegeree jireenya ilmaan isaatis dukkaneessuun akeeka bittoota Habashaa humnaan Oromoo gabroomfatanii ti. Dalagaan cubbamaa fi abaaramaan kun ammoo bara bittaa murna bicuu ilmaan Tigraay bifa caalaattuu hammaatee fi ija baaseen gaggeeffamaa jira. Keessumaa ammoo saamichi qabeenya uumamaa kan akka albuudaa fi bosona Oromiyaa keessa jiru irratti gaggeeffamaa jiru, addatti ammoo ergamtoota garaaf bulan of dura buusuun qabiyyee lafa Oromoo irratti saamichi mootummaa wayyaaneetiin gaggeeffamaa jiru yakka ol’aanaa seenaanis seeraanis gaafachiisuu dha. Har’aan tana godinaalee Oromiyaa adda addaa keessatti addatti ammoo handhuura Oromiyaa magaalaa Finfinnee fi magaalota naannawa sanatti argaman keessatti qonnaan bultoota Oromoo humnaan lafa bu’uura jireenya isaanii tahe irraa buqqisuun qondaalota OPDOf, wayyaanotaaf, ajajoota waraana wayyaaneef akkasumas warreen maqaa invastarummaatiin sirnichaaf hojjetaniif kennamaa fi gurguramaa jira. Gartuun faashistii wayyaaneen ergamtoota isaa Oromiyaa irra kaawwate keessaa warreen gaaffii mirgaa ummanni Oromoo kaasu ukkaamsuu fi ilmaan Oromoo haqa sabaa fi biyya isaaniif dhaabbatan ajjeesuu fi ajjeesisuu, dararuu fi dararsiisuu keessatti shoora ol’aanaa taphatan caasaa saamicha lafa Oromootiif diriirse keessa galchuudhaan akka isaan ummata irratti yakka dachaa raawwatan taasisaa jira. Ragaaleen jidduu kana arganne akka ifa taasisanitti ammoo, qondaalonni OPDO amanamoo sirna TPLF tahuu isaaniitiin maadhee saamichaa keessatti ijaaraman kunneen wal shakkii fi shororkaa jidduu isaaniitti uumameen wal unkuraa jiru. Warreen gartuu koloneeffattuutiin dantaa yerootiin sammuun isaanii hadoodee caasaa farrummaa diinni diriirse jalatti ijaaraman kunneen jeequmsa akkaan hamaa keessa seenuudhaan ergamtoota magaalota adda addaa irra maqaa Kantiibummaatiin kaahan aangoo irraa kaasuudhaan amanamummaa TPLFf qaban mul’isuuf tattaafataa jiru. Haaluma kanaan wal jeequmsaa fi shakkii lukkeelee diinaa jiddutti uumame irraa kan kahe Kantiibotni magaalota Sabbataa, Sulultaa, Hoolotaa, Laga-xaafoo Laga-daadhii, Bishooftuu, Adaamaa, Amboo fi kanneen biroo gaafatama isaanii irraa kaafamanii jiru. Aangoo diinaan itti kenname irraa kaafamuun kantiibota kanneenii dhimmuma saamicha qabeenya Oromoo kanaan kan walqabate tahuu kan eeran maddeen keenya, gariin isaanii ammoo qondaalota amanamoo TPLF tahan waliin dantaan waan walitti hidhata qabaniif erga kaafamanii booda bakkatti deebifamuu ibsaniiru. Kanaafis ergamtichi kantiibaa magaalaa Buraayyuu kan tahe Dhaabaa Jinfeessaa jedhamu erga Kantiibummaa irraa kaasanii booda amanamaan Wayyaanee Dhaabaa Dabalee jedhamu tarkaanficha waan dideef bakkuma isaatti deebifamuu akka ragaatti tuqan. Ergamtoonni wayyaanee maadhee saamtotaa jalatti ijaaramanii dantaa murna TPLF/EPRDF tiksuudhaaf qabeenya Oromootti fuulleffatan kunneen Networkiidhaan wal ijaaranii lafa Godina Addaa Naannawa Finfinnee weeraraa akka jiran ragaaleen SBO dhaqqaban saaxilaniiru. Weerarri kunis bifa qindaahee fi ijaarameen gaggeeffamaa akka jiru kan eeran maddeen, maadheen kunis ajajoota waraanaa TPPLF fi OPDOta keessaa qondaalota amanamoo sirnichaa tahan, maqaa abbootii qabeenyaatiin warreen wayyaanee waliin harka wal keessa naqachuudhaan saamicha adeemsisaa jiranii fi hogganoota Komishina Farra-malaammaltummaa Federaalaa fi Oromiyaa baanamuu akka of keessaa qabu saaxilanii jiru. Haaluma kanaan ragaaleen odeeffannoo fi hordoffii yeroo dheeraa booda argaman akka ifa taasisanitti maadheen garee saamtotaa diinni icitiidhaan Sululta keessatti ijaaree qotee bultoota Oromoo lafa irraa buqqisee dachee isaanii gurgurachuuf akeekkate kun haala-mijeessitoota namoota akka habashicha waggoota 7 oliif kantiibaa magaalaa Sulultaa ture Siyyum Hayluu jedhamuu fi abbaa Riizoortii Hundee kan tahe Abarraa Hundee kan jedhamuun akka gaggeeffamu ibsameera. Gareen diinaan ijaarame kun ajaja TPLF olirraa laatuun karoora saamichaa hojii irra akka oolchu kan ibsame si’a tahu, yeroo hundaa wal gahii isaatis kan gaggeessu magaalaa Sulultaa naannoo Wasarbii jedhamutti kan argamu ‘Hundee Resort’ keessatti tahuunis saaxilameera. Miseensota garee saamichaaf wayyaaneen ijaare kana keessaa muraasni Ajajoota olaanoo waraana wayyaanee Jeneraal Abrahaa Hagos, Jeneraal Salamoon, Jeneraal Zarhuu, Kantiibaa magaalaa Sulultaa kan ture Siyyum Hayluu, abbaa qabeenyaa Hundee Riizoort Abarraa Hundee akkasumas ergamticha hogganaa Komishina Farra-malaammaltummaa Oromiyaa ti jedhamuu Taakkalaa kan jedhamu, gaafatamaa kutaa qorannoo komishinichaa Xilaahun jedhamus miseensotuma maadhee wayyaaneen saamichaaf diriirse kanaa ti. Haaluma walfakkaatuun caasaan saamichaa kun magaalota biroo keessattis kan diriirfame yoo tahu, caasaan saamtotaa Buraayyuu jiru ammoo amanamaa sirna TPLF kan tahe Dhaabaa Dabaleetiin kallattiin hogganamuudhaan haala-mijeessitummaa kantiibaa magaalaa Buraayyuu Dhaabaa Jinfeessaatiin raawwatamaa jiraachuu dha ragaaleen arganne kan saaxilan. Ergamtoonni wayyaanee lameen sirnichi dantaadhaan walitti hidhee sammuu isaanii hadoochee akka fedha isaa ergataa jiru, Dhaabaa Jinfeessaa fi Dhaabaa Dabalee wayta barattoonnii fi ummanni Oromoo bal’aan FDG gaggeessuudhaan gaaffii mirgaa gaafataa turan dura dhaabbachuudhaan amanamummaa wayyaanee/TPLFf qaban mul’isuudhaaf jecha warreen yakka guddaa raawwatanii dha. Keessattuu naannolee akka Jalduu, Gindabaratii fi Ambootti dhiiga ilmaan Oromoo danuu dhangalaasisuu fi miidhaa suukaneessaa geessisuu isaaniitiin TPLF biraa amanamummaa argatuudhaani kan caasaa saamichaa fi gurgurtaa lafa Oromoo keessatti hammatamanii yakka raawwataa kan jiran. Ergamtoonni caasaa diinaa jalatti ijaaraman kunneen mata-mataattis garee hannaa ijaarrachuudhaan sossohanii Oromoo qe’ee fi qabeenya irraa buqqisanii deegsaa fi gidiraaf afeeraa ofii isaaniitii qabeenyaa irratti qabeenya kuufataa fi fandalalaa jiru. Ergamtichi Dhaabaa Jinfeessaa jedhamu murna saamicha isaaf isa gargaaru naannoo isaatti ijaarratee sossohuudhaan Buraayyuu naannawa ‘Ashawaa Meedaa’ jedhamee waamamutti gamoo abbaa darbii 4 (G+4) akkasumas Finfinnee naannawa Booleetti ammoo gamoo abbaa darbii 6 (G+6) maqaa haadha warraa isaatiin ijaarratee caasaa saamichaa babal’ifataa akka jiru ragaan arganne ni saaxila. Walumaagalatti egaa mootummaan wayyaanee caasaa saamichaa karaa ergamtoota dantaan xaxeetiin ijarrateen saamichi qabeenya Oromoo irratti raawwataa jiru kan magaalota lameenitti qofa murtaahe odoo hin taane, akkuma kanaan guutuu Oromiyaa keessatti diriirfamaa kan jiruu dha. Shirri Finfinnee fi naannawa Finfinnee irratti, akkasumas magaalota gugurdoo Oromiyaa bakkoota gara garaa jiran irratti, akkasumas qonnaan bulaa Oromoo lafa isaa irraa buqqisuu irratti xaxamaa turee fi jiru warra akkasii of dura buusuu fi caasessuun akka tahe hubatamuu qaba. Dhalli Oromoo kana sirriitti qalbifatee hubatuudhaan diina garaaf bultoota qabatee qayee Oromoo onsuu fi hegeree Oromoo fi Oromiyaa dhabamsiisudhaan lafa jalaa fi ifattis hojjechaa jiru akkuma kaleessaa har’as murannoodhaan keessaa fi alaan irree tokkoon dura dhaabbachuun didachuun akkaan barbaachisaa dha. Shira diinaa fi ergamtoota diinaa kana hubatanii hongeessuuf hojjechuun hunduma nama Oromoof yaaduu ilaallata. Duula qabeenya Oromoo fi eenyummaa Oromummaa irratti xiyyeeffatee fuula hedduun gaggeeffamaa jiru dura dhaabbachuudhaan fashalsuun akkasumas akeeka ilmaan Oromoo kaleessaa hanga har’aatti wareegama baasaafii jiran galiin gahuuf sossohuun dirqama lammummaa dhala Oromoo hundaa ti. Posted by OromianEconomist in No to the Addis Ababa Master Plan, NO to the Evictions of Oromo Nationals from Finfinnee (Central Oromia). ADDIS ABABA, Ethiopia (The Post Post)–France with the help of the World Bank has embarked on missions that destroyed many lives in some African countries. One of those countries in which this duo operates is Ethiopia. Mali, Burkina Faso and Benin are the other victims of the “urbanization for the 21st century,” which mainly advocates building cities around public transportation. In May 2014, university student protesters of Oromo ethnic origin took to the streets of Ethiopia in opposition to the “Integrated Development Master Plan.” Some student protesters quoted by social media activists dubbed it “a master killer,” because dozens of students and people who protested were gunned down by Ethiopian security forces. Some of them pointed to its “unconstitutionality,” saying it encroaches on Oromia’s land. Ethiopian government security forces effectively silenced the protesters. However, the real victims of the urbanization projects were the low-income families who lived in Addis Ababa and vicinity. Bekele Feyissa, a farmer in Sebeta, complained to Bloomberg’s reporter in 2014 that he got paid $36 for 1.5 acres of land. Even though the government owns the land, Mr. Feyissa, a father of six has customary rights to the land. He has at least eight people to feed. People like Fayissa are the ones who have gotten the short end of the stick. It all started with the 1999-2000 urbanization projects. There were multiple moving parts—lender [World Bank Group], contractor [Lyon Town Planning Agency], Addis Ababa city government, French government agencies and German Technical Cooperation Agency (GTZ). In the historical background section, the document emphasizes the cooperation of Addis Ababa city government and the French (Grand Lyon and the French Embassy). It further states the decision by the French to fund the revision of the 2002 master plan was to establish pre-operational project processes, implying they were there to collect the return. This rich French city also has other contracts with other African cities like Bamako, Ouagadougou, Porto-Novo and Rabat, whose stories are not too far from that of Addis Ababa. Some of those countries were a little generous to their displaced people due to urbanization planned by Lyon Urban Planning Agency, even though the displaced still suffered consequences. The most significant part of this document shows the involvement of the World Bank, which is not a surprise by any stretch. However, investigative reports showed the organization’s involvement in projects which ruined at least 3.4 million lives worldwide. These contracts Grand Lyon signs with sub-Saharan cities, do not seem to involve financial planning even though it appears they often made sure the World Bank funded the projects. Three World Bank officials were listed in this document among the contacts: Abebaw Alemayehu (senior development specialist), Yoshimichi Kawasumi (senior highway engineer), and Yitbarek Tessema (senior water and sanitation specialist). Reports by International Consortium of Investigative Journalists, The Huffington Post, and The Investigative Fund found that The World Bank Group repeatedly failed to enforce own rules to protect communities in its projects’ path. One of the stories featured by these reporters includes Ethiopian Anuak family who were beaten, raped, and displaced from their land as a result of The World Bank Group funded Ethiopian government villagization program. The disconcerting and destructive quote to The World Bank’s mission came from the World Bank’s Ethiopia program director, Greg Toulmin. “We are not in the physical security business,” ICIJ quoted him saying at the time. Despite his dismissive quote towards human rights and his contradicting of the World Bank Group’s mission, Mr. Toulmin is currently the acting Country Director for Ethiopia. The World Bank, whose private lending arm, International Finance Corporation (IFC) is a defendant in a class action lawsuit filed in District of Columbia, sent a link to a press release in response to The Horn Post’s request for a budget document showing financial compensation for the displaced people in the outskirts of Addis Ababa. In the press release, in March 2015, the World Bank Group President Jim Yong Kim said, “We took a hard look at ourselves on resettlement and what we found caused me deep concern.” He also goes on to acknowledge failures in overseeing projects involving resettlement, implementation and enforcement of own policies. The World Bank’s Operational Policies (OP 4.12) clearly states involuntary displacement needs special attention in paragraph 2. Where it is not feasible to avoid resettlement, resettlement activities should be conceived and executed as sustainable development programs, providing sufficient investment resources to enable the persons displaced by the project to share in project benefits should be meaningfully consulted and should have opportunities to participate in planning and implementing resettlement programs. Perhaps not coincidentally, the press release came after both the ICIJ report and the lawsuit accusing International Finance Corporation of irresponsible and negligent conduct in appraising, financing, advising, supervising and monitoring a coal-fired powered plant in India. Countries like China and Turkey are operating in Ethiopia, but France takes the lead in displacing the poor with near zero compensation in the outskirts of Addis Ababa. An email from The Horn Post to Lyon city officials seeking comments regarding Addis Ababa Master plan did not get a response at the time of this publication. Posted by OromianEconomist in Land Grabs in Oromia, Omo Valley. Ms. Mittal describes the situation with regard to land grabs in Ethiopia as “dire”, with evicted farmers and their families facing persecution, intimidation, and arrest if refusing to leave the land which has sustained them for generations or by protesting. While many around the world are under the impression that colonialism in Africa is long-over and a thing of the past, what the Oakland Institute has discovered is a type of “re-colonization” of the African continent has occurred in recent years through land grabs/giveaways to investors looking to extract natural resources. 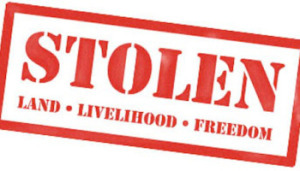 ….Oakland Institute Director Anuradha Mittal believes the land is being stolen and not being paid for, that the practice of land grabs shows the absence in nations of rule of law, and that wealthy corporations/investors are taking the opportunity to re-colonize Africa and get away it. Posted by OromianEconomist in Africa, Land Grabs in Oromia, Omo Valley. Posted by OromianEconomist in Ethiopia's Colonizing Structure and the Development Problems of People of Oromia, Land and Water Grabs in Oromia, No to the Addis Ababa Master Plan, NO to the Evictions of Oromo Nationals from Finfinnee (Central Oromia), OLF, Oromia, Oromians Protests, Oromo Protests. “Master Plan” Finfinnee irratti Ibsa ABO:- Balaa Ummata Oromootti aggaamame hanqisuun dirqama Oromummaa ti! Gabrummaa waggoota dhibbaa oliif Oromiyaa irratti diriirfame ummata Oromoo Kumootaan qe’ee fi lafa isaa irraa buqqaasuun lafa dhablee taasiseera. Magaalaa Empaayera Itophiyaa handhuura Oromiyaatti gadi dhaabuuf tarkaanfii sanyii duguuggii/genocide/ wal gituun fudhatamaa tureen gosootni Oromoo Abbichuu fi Galaan naannoo irraa dhabamsiisamaniiru. Tarkaanfiin diinummaa maqaa “Maaqnaat” jedhuun adeemsifamaa ture bara Wayyaanees maqaa “misoomaa fi guddinaan” itti fufamuu irraa yeroo ammaatti Oromoon qe’ee fi jireenya isaa irraa buqqaafamaa jiru kan durii irra caalaa dhufe malee hin xiqqaanne. Mootummaan Wayyaanee karooraa fi imaammata Abbootii isaa irraa dhaale itti fufsiisuun waggoota 23 dabraniif lafoota akka Boolee Bulbulaa, Laga Xaafoo, Aqaaqii, Sabbataa, Sulultaa, Buraayyuu fi kkf irraa qotee bulaa Oromoo ari’uun gurgurataa fi hirataa har’a gahuunis dhokataa miti. 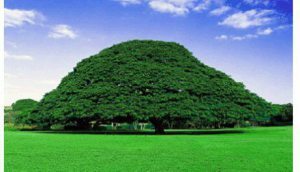 Karoora bittootaa ummata Oromoo hin fayyadne, qe’ee fi lafa isaa irraa buqqaasee hiyyummaa fi deegaaf saaxilu kana mormuun lammiileen Oromoo hedduu wareega lubbuu itti baasaniiru. Kan man hidhaatti guuramanii fi dhaanaman kumoota hedduun lakkaa’amu. Lammiiwwan Oromoo kabajamuu mirga ummata Oromoof jecha diinaan ajjeefamanii fi hiraarfaman, akeekni irratti wareegama lammummaa baasan bilaashatti akka hin hafnee fi karoorri diinaa Oromoo irratti xiyyeeffate kunis akka hin milkoofne gochuun ammas dirqma lammii Oromoo hundaa tahu gadi jabeeffamee hubatamuu qaba. Karoorrii fi imaammatni bittoota Itoophiyaa maappii Oroomiyaa jijjiiruun gaaffii walabummaa fi bilisummaa ummata Oromoo hanqisuu akka tahe eenuyyuu jalaa dhokataa miti. Kanaafis jalqabaa hanga ammaatti ummatni Oromoo shira diinotaa kana gootummaan dura dhaabbatuun haqa isaaf wareegama baasaa akka ture seenaan QBO ni hubachiisa. Shiraa fi hammeenya bittoota Itophiyaan Oromoo irratti dalagamaa dhaloota har’a dhaqqabe kanas ABOn irratti qabsaawaa fi qabseessisaa akka turee fi jirus hubatamaa dha. Karoora Master plan Finfinnee jedhuun shira yaadame kana ilaalchisee HD ABO J/Daawud Ibsaa waggaa haaraa bara 2015 ilaalchisuun dhaamsa dabarsaniin ,”Master plan Finfinnee kan jedhamu haala kanaan dura mootummootni Itophiyaa dabran gochaa turan irraan addatti bifa baraneen ummata Oromoo lafa isaa irraa buqqaasuun eenyummaa isaa dhabamsiisuu irratti kan xiyyaafate dha”jechuun shira duubaan jiru saaxilaniiru. Karoora diinummaa lafaa fi magaalota Oromiyaa bulchiinsa Oromiyaa jalaa baasuudhaan bulchiinsa Federaalaa jala galchanii akka fedhanitti gurguratuu fi hiratuuf baafame kana ilaalchisee qondaalli ol aanaa mootummaa Wayyaanee Abbaay Tsahaayyee haasaa dhiheenya godheen, “Karoorri Finfinneef baafame hojii irra ni oolfama! Kan kana dura dhaabbatu hundas ni sirreessina! eenyummaa keenya itti agarsiifna!” jechuun bulchitootaa fi qondaalota OPDO-tti dhaadateera. Abbootiin irree osuma dhaadatanii kan dhabaman tahuun beekamaa tahus dhaaduun qondaala Wayyaanee kanaa , Wayyaanotni hangam ummata akka tuffatani fi hagam ammo akka salphatanii gadi bu’an agarsiisa. Dhabamaa fi deega ummata Oromoon jireenya qananii jiraatuu kan baratan bittootni Itoophiyaa dhaadatuun, ummatni Oromoo mirgaa fi eenyummaa isaatiif falmatuu irraa tasa isa hin dhaabu. Ummatni Oromoos karoorri hojii irra oolfama jechuun qondaalli diinaa ittiin dhaadatu kun kan eenyummaa fi mirga isaa irratti xiyyeeffate tahuu caalaatti waan hubatuuf walabummaa fi bilisummaa isaa gonfachuuf qabsoo itti jiru finiinsun galii isaan kan gahatu tahuun shakkiin hin jiru. Kanaaf ilmaan Oromoo sirna farra ummata Oromoo tajaajiluuf itti fufuu murteeffataniin ala OPDO keessa jiran, haasaan tuffii, karaa biraa ammo abdii kutannaa fi jibbiinsaa Abbaay Tsahaayyee, diinni yoomiyyuu diina tahuu kan mirkaneessu waan taheef mirga ummata Oromoo kabajsiisuuf ummata isaanii cinaaa hiriiruun akka qabsaawan, tarkaanfii seenaa qabeessa fudhattaniinis gaafatama seenaa jalaa akka of baasan ABOn waamicha Oromummaa amma illee irra deebiin dabarsaaf. Kan waliin kanneen wal qixxummaa, dimokraasii fi haqaaf falmina jedhan hundi gochaan farrummaa ummata Oromoo mirga jiraachuu dhabsiisaa jiru kun wayta ifatti raawwatamaa jiru kanatti, saaxiluu fi dura dhaabbatuu irra moggaa dhaabbatanii ilaaluu filatuun ykn akka hin dhagahiinitti callisuun seenaan gaafachiisaa tahuu akka hubatan ABO gadi jabeessee dhaama. Karoora diinaa eenyummaa Oromoo dhabamsiisuu irratti xiyyeeffate kana ABOn jabinaan kan dura dhaabbatuu fi fashalsu tahuu irra deebi’ee ummata Oromoof dhaamaa, karoorrii fi imaammatni mirga ummataa hin kabajnee fi ummata abbaa biyyaa dhabamsiisuu qabsoo ummataan kan fashalu tahuu ABOn gadi jabeessee hubachiisuu fedha. 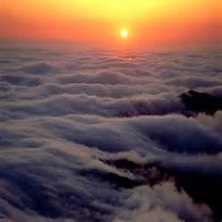 Posted by OromianEconomist in Africa Rising, African Poor, Colonizing Structure, Corruption in Africa, Ethiopia's Colonizing Structure and the Development Problems of People of Oromia, Afar, Ogaden, Sidama, Southern Ethiopia and the Omo Valley, Land and Water Grabs in Oromia, Land Grabs in Africa, Land Grabs in Oromia, No to land grabs in Oromia, The Tyranny of Ethiopia, US-Africa Summit, Youth Unemployment. Since 2000, over 37 million hectares of land, mainly in the world’s poorest nations, have been acquired by foreign investors “without the free, prior, and informed consent of communities” in what, according to Oxfam and other organizations, constitutes a “land grab.” It’s a portion of land twice the size of Germany, according to researchers. More than 60% of crops grown on land bought by foreign investors in developing countries are intended for export, instead of for feeding local communities. Worse still, two-thirds of these agricultural land deals are in countries with serious hunger problems. A report by the University of Virginia in collaboration with the Polytechnic University of Milan says that a third to a fourth (pdf, p. 1) of the global malnourished population, or 300 to 550 million people, could be fed from the global share of land grabs. Instead, the land is used to grow profitable crops—like sugarcane, palm oil, and soy. The benefits of this food production “go to the investors and to the countries that are receiving the exports, and not to the benefit of local communities,” says Paolo D’Odorico, professor of environmental sciences at the University of Virginia. He attributes the phenomenon to a global “commodification of land” and says the problem will only get worse in the coming years as food prices continue to rise globally. 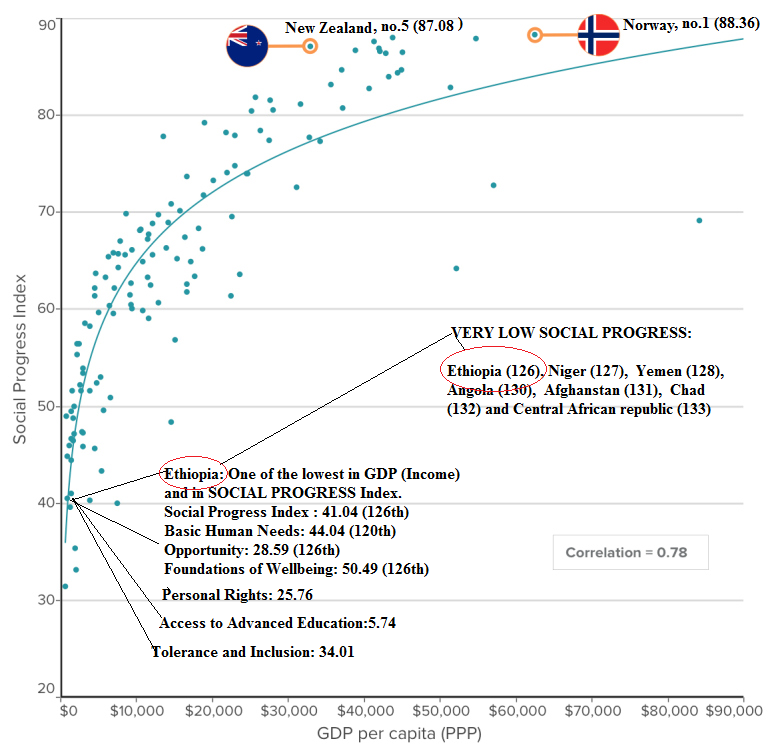 Land grabs in the developing world create a system so unequal that resource-rich countries become resource dependent. In Ethiopia, one of the world’s largest recipients of foreign aid, the problem is particularly acute. In a country where over 30% of the population (pdf) is below the food poverty line, crops are exported abroad—primarily to India, Saudi Arabia and the Gulf Cooperation Council (GCC) states. Multinationals buy up the land from the Ethiopian government for lease and bring in workers to farm it. 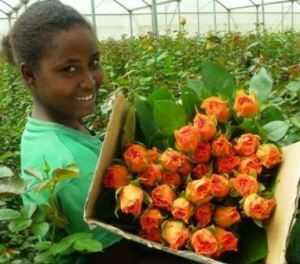 Favorable climate conditions and government relief have led Ethiopia to be chosen as a new production site by many flower growers present in Kenya. Bangalore-based Karuturi Global, the world’s largest rose exporter, has rose plantations in the country, and is planning the development of a 300,000-hectare lease in the Gambella area. Alfredo Bini, an Italian photojournalist, examined Ethiopian land grabs in his recently released photo series, “Land Grabbing.” For the investors, Bini explains, the deals were not “land grabs” but opportunities to get huge returns on investments.